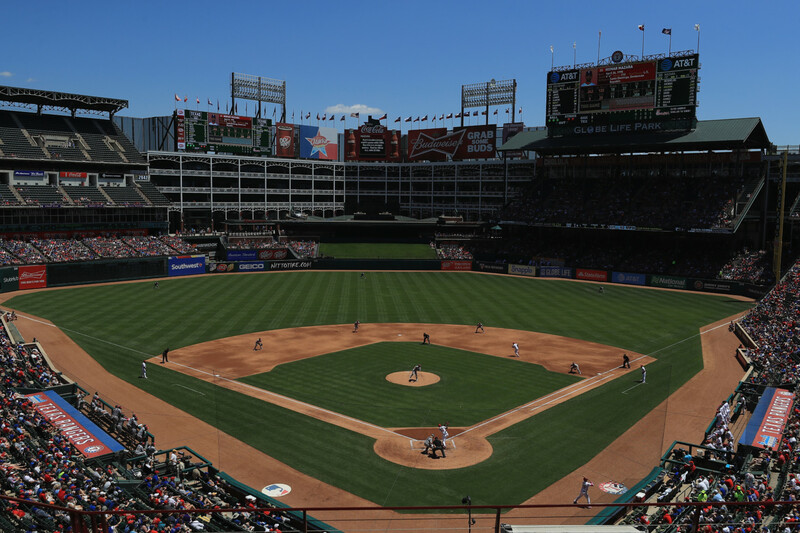 Where did your favorite ballpark land on our list? A day at the ballpark rivals just about anything in American pop culture. 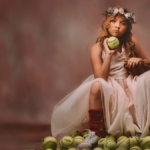 The warm weather, the easy pace of the game, and the familiar sights and sounds make taking in a baseball game a uniquely relaxing piece of live entertainment. Of course, not all trips to an MLB game are equal in terms of enjoyment. 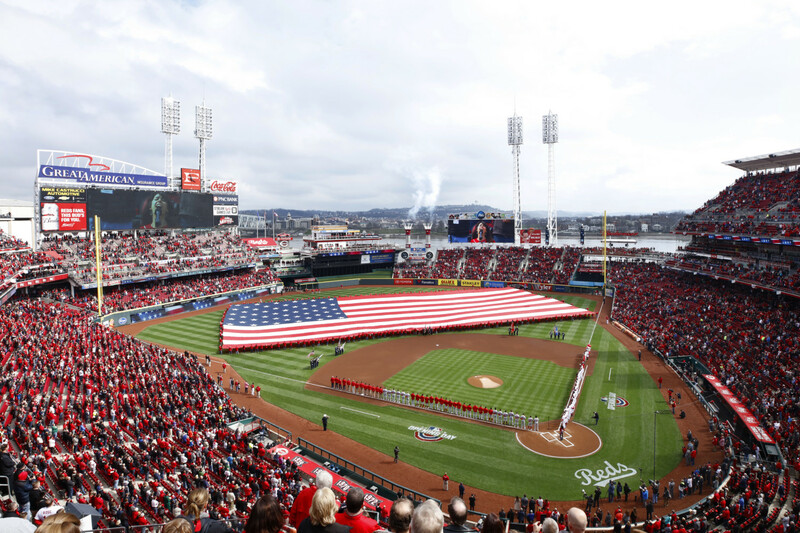 Baseball stadiums have come a long way in recent years — with vast selections of craft beers and gourmet foods replacing boring brews and plain hot dogs — making baseball games feel much more like big-budget events than the quaint pastime they were in decades past. We took a look into all 30 current MLB stadiums and ranked them by how great the fan experience is. We used factors including amenities, prices, atmosphere, views and on-field production to create the standings, as well as visitor ratings recorded by Google users. Where did your favorite ballpark land on the list? 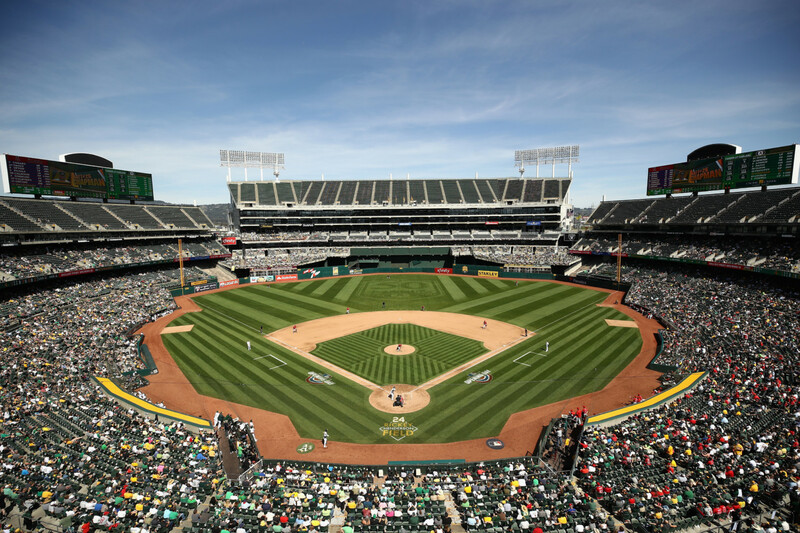 The much-maligned Oakland-Alameda County Coliseum has the honor of ranking at the bottom of our MLB stadiums list and also near the bottom of our ranking of NFL stadiums. This dual-purpose stadium is supremely outdated in today’s landscape, but Oakland Athletics fans are supposed to get a new one of their own in 2023. The Coliseum holds a ton of people but consistently ranks among the league’s least-attended stadiums, meaning the atmosphere is virtually nonexistent. Combine that with the facts that parking prices there are among MLB’s most expensive and it has the lowest Google rating of any stadium in the league, and you’ve got the worst home in the game. 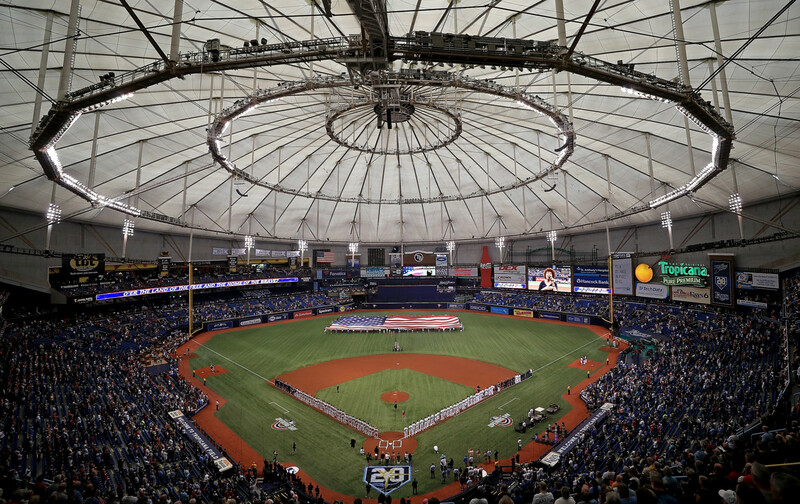 “The Trop” has the distinction of being the only permanently closed, indoor ballpark in MLB today. That sort of thing was commonplace in the era in which it was built, but a retractable roof is a must-have for today’s yards — especially in an area with spring weather as beautiful as St. Petersburg, Florida. The Tampa Bay Rays are another team that just doesn’t draw fans. The team ranks in the bottom three of average attendance in each of the past five years, only half-filling the league’s smallest stadium on a daily basis. A perk of Tropicana Field is that visitors can park for free if they have at least three people in their car. 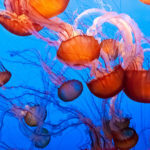 Plus, the stadium houses a big tank that allows fans to touch stingrays. 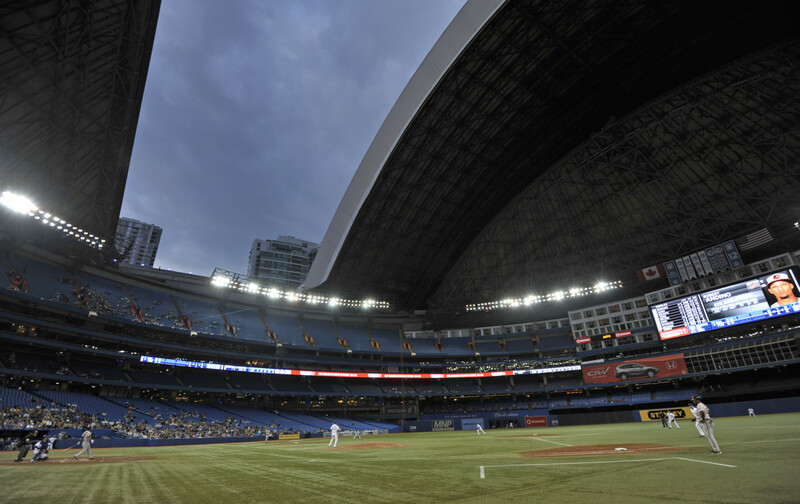 Another holdover from a utilitarian era for stadiums, Toronto’s Rogers Centre does at least have a retractable roof. 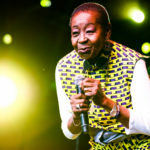 It also holds approximately twice the amount of seating as Tropicana Field — but that doesn’t mean it’s twice as beloved by visitors. In fact, these two stadiums were tied for the lowest Google rating among all baseball-only stadiums. According to a 2017 report from Review Trackers, which collected fan surveys about every stadium in MLB, Rogers Centre had the least satisfying food and drink options of any park. Since being erected to much controversy in 2012, Marlins Park has not become a beloved destination for baseball lovers in South Florida. Attendance at the stadium has been dismal. This includes the year 2018, when the Marlins averaged the lowest number of fans per home game by far, with only about 10,000 people showing up for each game. 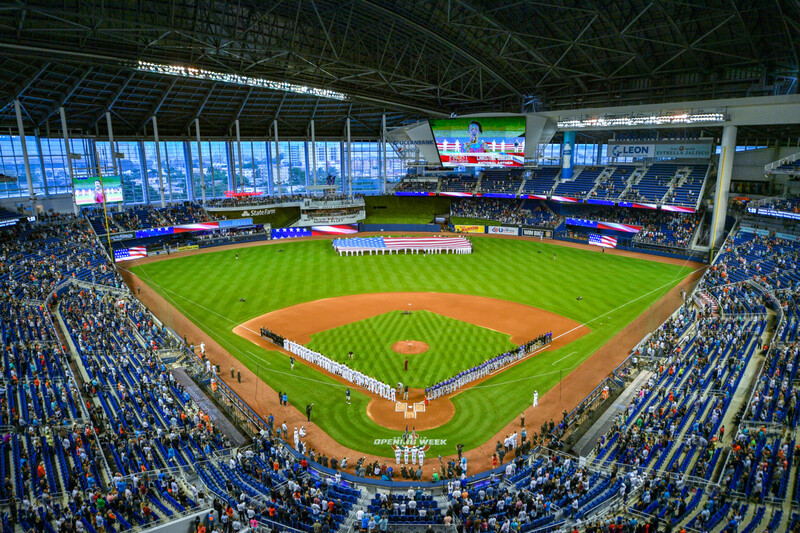 But Marlins Park ranks ahead of a few others on this list because it does offer some kitschy charm, including a bobblehead museum, an on-site nightclub and an aquarium stocked with tropical fish. 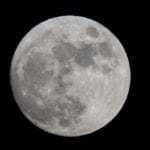 Plus, it’s very environmentally friendly. 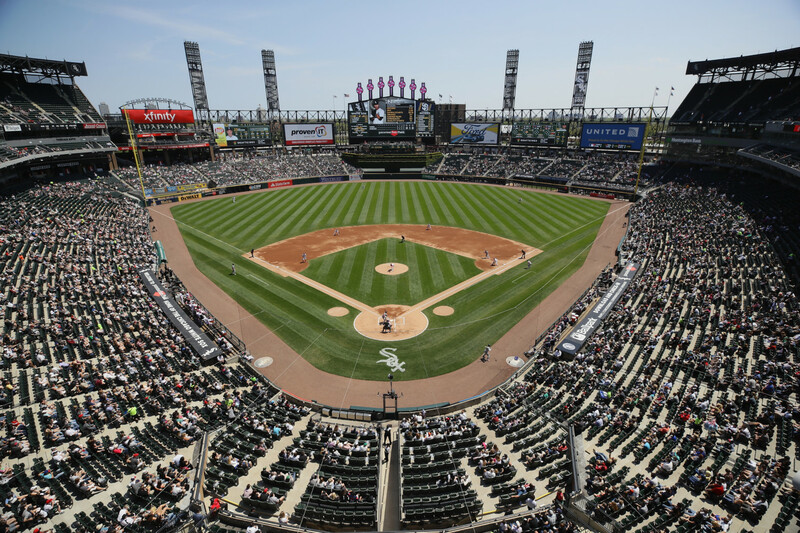 Another MLB stadium that has had problems attracting crowds, despite being in a major market, is Chicago’s Guaranteed Rate Field. The White Sox draw some of the league’s worst attendance figures every year, giving the place little atmosphere to enjoy. However, according to Review Trackers’ 2017 stadium review roundup, this yard was given the highest marks in all of MLB for food and drink satisfaction. New for this season, the stadium has a section called The Goose Island, inspired by the Chicago-based brewery that has a huge presence in the park. It’s in right field and features cushioned seats, TV screens and device-charging ports, all aimed at modern fans. Baseball fans have given Globe Life Park high marks for its family-friendly atmosphere, but there are a lot of odd things about this stadium. First off, an actual office building is located behind center field and there are reportedly a large number of seats with obstructed views. Combine that with the fact that it’s an outdoor stadium in a city that routinely gets 100-degree temperatures and it doesn’t exactly spell fun. Additionally, this is one of the priciest places to catch a game. But it’s hard to beat the novelty of Greene’s Hill, the signature patch of lawn in center field that fans are actually allowed to run on to catch balls. We’ll see if the team’s new stadium, set to open in 2020, can improve things for fans. Just because Atlanta’s SunTrust Park is the newest stadium in MLB doesn’t mean it’s one of the best places to catch a game. Fan reviews of the yard have been decent, but not at the highest end of the spectrum of Google ratings. 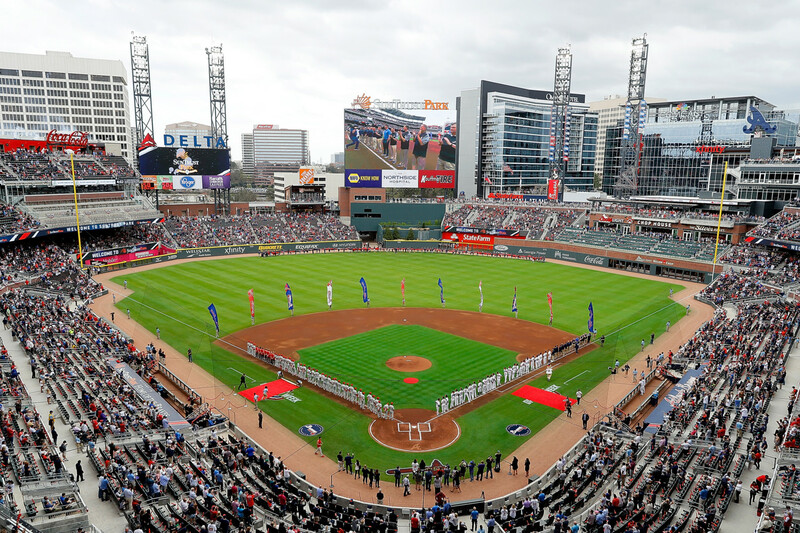 SunTrust Park is one of three stadiums in baseball today that has its own brewery on site. A major plus is that, despite it being brand new, it’s one of the absolute cheapest places to catch a game in MLB, according to GoBankingRates.com. 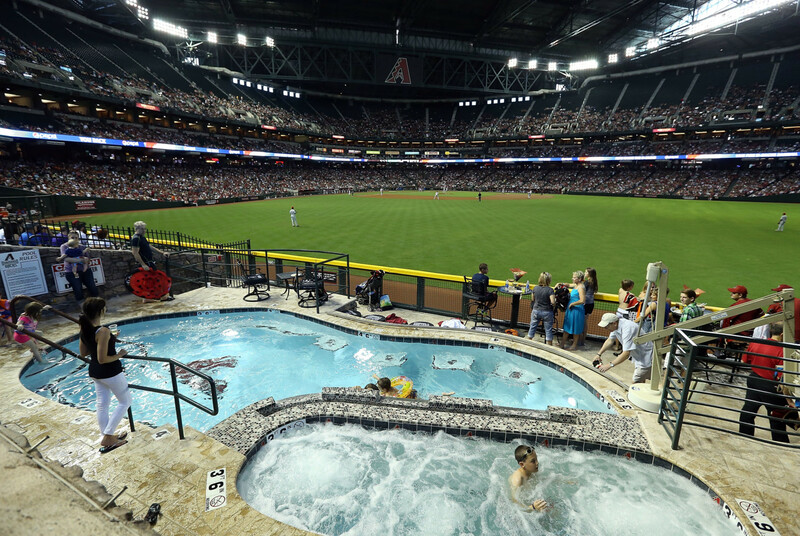 There aren’t many places in sports where you can catch a home run ball while taking a dip, but Chase Field is one. In addition to its own swimming pool and hot tub, this massive stadium features a retractable roof. That’s a must-have in a city like Phoenix, where game-day temperatures are almost always around 100 degrees. Reviews of Chase Field are smack in the middle of the pack when compared to other MLB home fields. One huge bonus this park has going for it is that there are virtually no bad seats here, with 80 percent of its seats located between the foul poles. 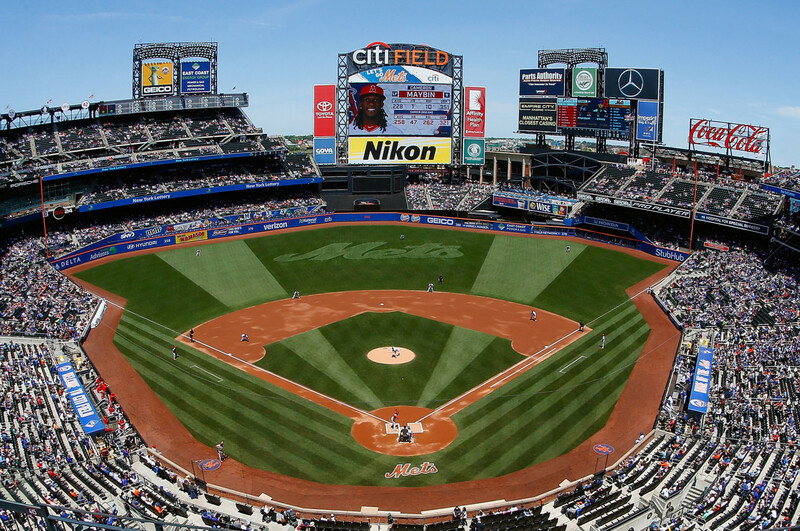 As with Shea Stadium before it, people don’t generally rave about Citi Field as much as they do about New York City’s other baseball stadium, but there’s plenty to like about this one. The food selection might be the best in all of baseball, especially when it comes to burgers from Shake Shack and the huge variety of options in the outdoor food court called Taste of the City. Beer lovers will be pumped to know it’s also one of the three MLB stadiums to house its own brewery. And baseball nerds will want to spend some serious time looking around the stadium’s Jackie Robinson Rotunda, which celebrates the history of the Brooklyn Dodgers icon. 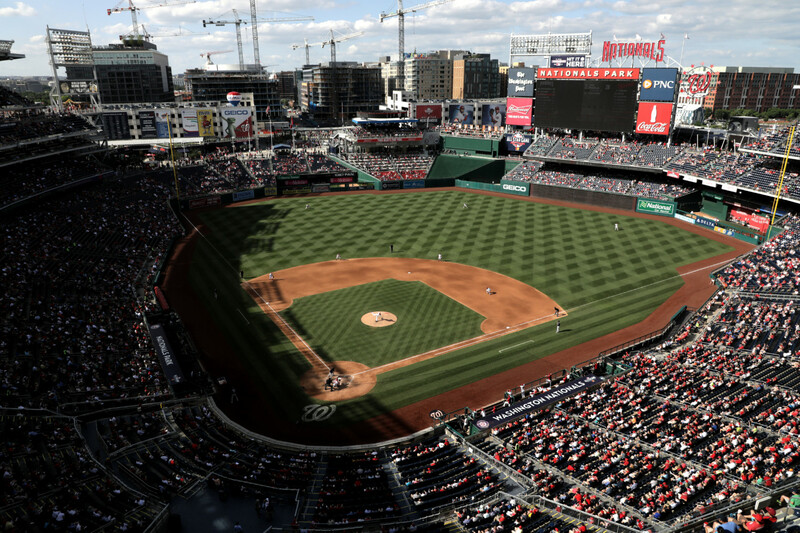 If you’re stuck up in the nosebleeds at Nationals Park, you can take solace in the view you’ll get of Washington’s most beloved landmarks in the distance. 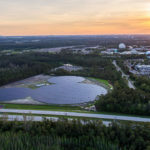 This yard was a pioneer in terms of energy efficiency, becoming the first professional sports stadium to earn a certification from the federal Leadership in Energy and Environmental Design council. It even offers free valet parking for people who ride a bicycle to the park. The Nationals typically put a good team on the field, but even if they aren’t playing well, you can always enjoy the Presidents Race, which features big-headed icons like George Washington, Abraham Lincoln and Teddy Roosevelt in an all-out sprint. 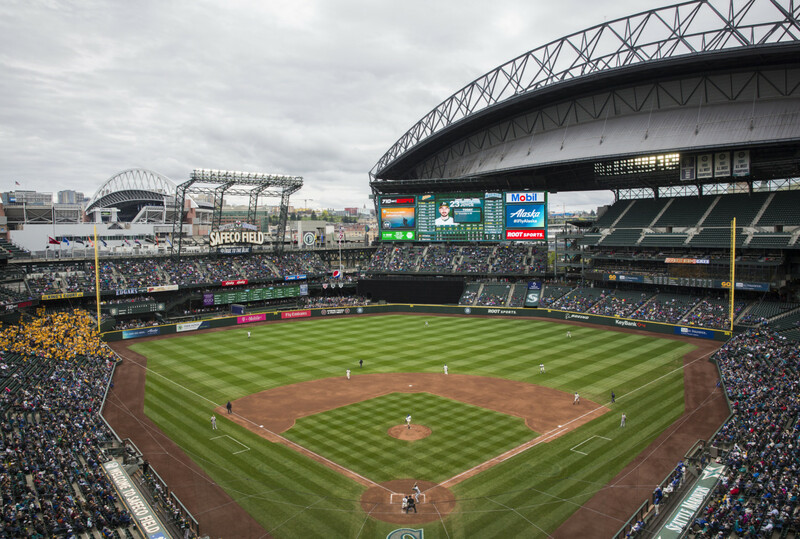 T-Mobile Park, formerly Safeco Field, gets major bonus points for being the greenest stadium in all of baseball, putting a lot into recycling waste and conserving energy. The stadium has earned solid reviews from visitors, especially for its food and drink options and the state of its upkeep, but getting in to actually see a game for yourself is a headache. The average ticket prices are outrageous compared to other stadiums in the league. 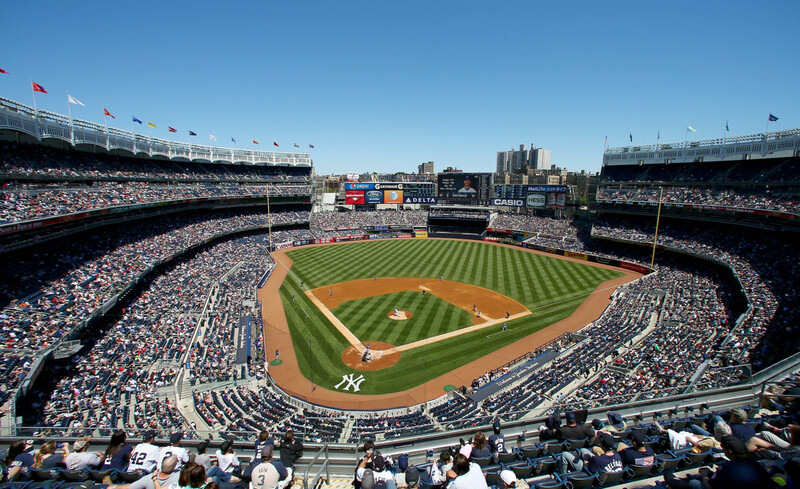 It ranks second only to Yankee Stadium in terms of the most expensive places to spend a day at the ballpark, according to GoBankingRates.com. One of the smallest parks in MLB, Cleveland’s Progressive Field — unfortunately — draws like it. 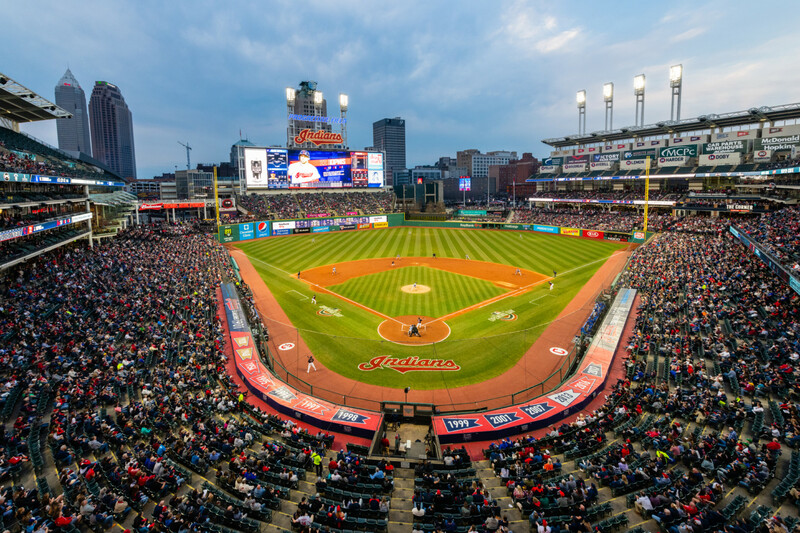 Despite having a team that has contended for the American League pennant every year in the recent past, Progressive Field averages some of the league’s lowest attendance figures every season. The park also doesn’t have a ton of memorable amenities, but it does offer a great view of downtown Cleveland for most fans with a ticket. The fans that have shown up have given Progressive Field stellar marks; included in the praise is tasty ice cream from local brand Pierre’s. There are few stadiums in MLB where you’ll see more home runs hit, on average, than Citizens Bank Park, which makes it an exciting place to catch a game. Philadelphia’s yard even features a replica Liberty Bell that lights up and rings every time a Phillies player crushes one over the fence. 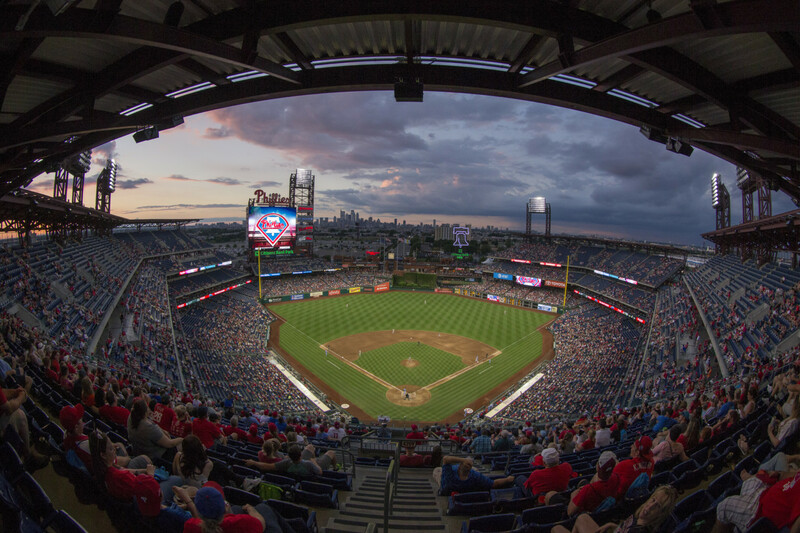 Citizens Bank Park also gets points for pioneering some of the green initiatives that have become commonplace in stadium design and for being one of the most vegetarian-friendly stadiums in America, according to PETA. Unfortunately, you’ll pay through the nose for beers. 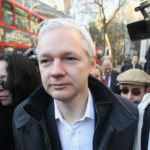 GoBankingRates.com reports that this site has some of the most expensive brews in the league. 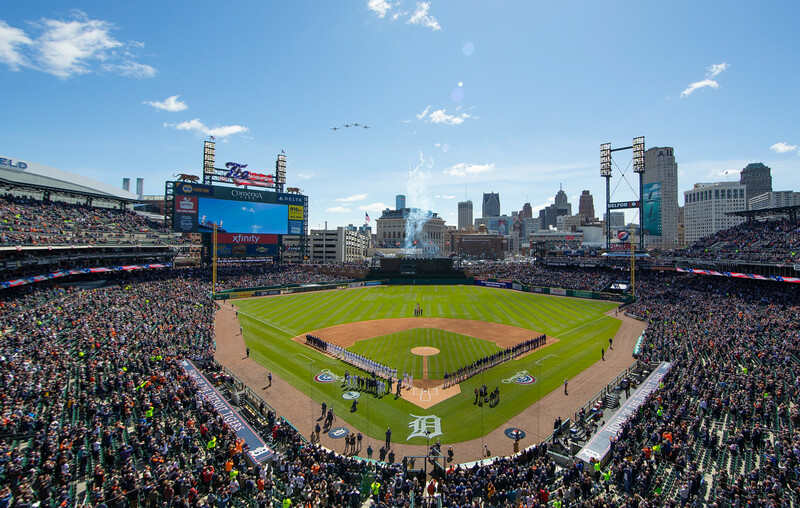 There’s a lot to like about Detroit’s Comerica Park, including some amenities that are sure to bring out the inner child of any baseball fan. This stadium’s grounds include a working carousel and a Ferris wheel that has cars that look like baseballs. Comerica Park also gives fans seated along the left-field line a gorgeous view of the downtown skyline. Plus, visitors have apparently been very impressed with the people who work at the stadium. Review Trackers says fans surveyed gave the park’s staff a perfect grade. 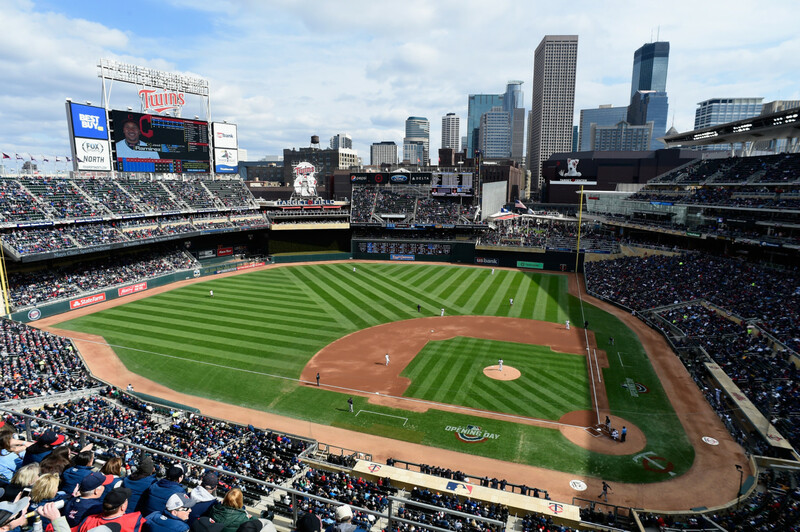 Among the newer ballparks in MLB, Minnesota’s Target Field has gotten solid marks from fans in its first decade of existence. You won’t find much cheaper parking at any stadium in the league, with spots going for $6, according to GoBankingRates.com. But where Target Field really shines is its food and beer selections. This stadium boasts one of the largest selections of local beers to be found at any stadium. Plus, there’s a two-foot-long chili dog known as the Boom Stick, which will cost you about $27 to dig into. Another great Midwestern baseball stadium, Cincinnati’s Great American Ball Park may feature the most subtle piece of corporate naming in sports history, as its title actually comes from an insurance company. While attendance has dipped in the past few seasons, thanks to some truly bad Reds teams, it’s always exciting to take in a game here as it saw the most home runs of any stadium in 2018. Fans can also get tickets — and hot dogs — for next to nothing. Those seated in the upper decks will have stunning views of downtown Cincinnati, the Ohio River and Northern Kentucky, too. Lovers of baseball history will dig the on-site Reds Hall of Fame Museum, which is often ranked among the best sports museums in the country. It might sound like a strange thing to boast about, but San Diego’s Petco Park apparently has the nicest bathrooms in baseball. As any fan that has stood in a filthy, prison-like stadium restroom will tell you, that’s definitely a point of pride. 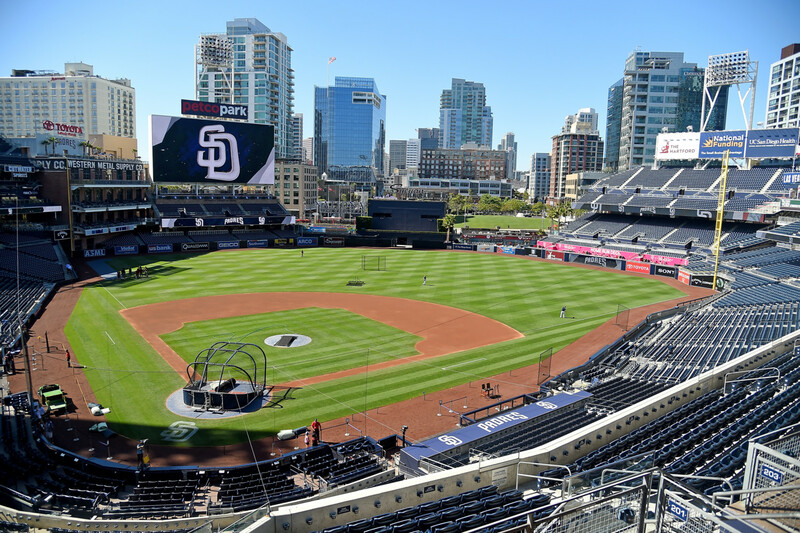 Petco Park has plenty of other attractive factors, though, including gorgeous weather, beautiful views and a one-of-a-kind amenity called the Park at the Park. This fan-favorite section is an actual park that offers fans a cheap way to watch games with a decent view while mostly just enjoying a day outside. Kansas City’s Kauffman Stadium is one of the oldest parks in MLB, but the Royals have kept it feeling current with some big additions. The most popular feature is the gargantuan, HD video scoreboard in center field that measures 105 feet by 85 feet and was once the world’s biggest. 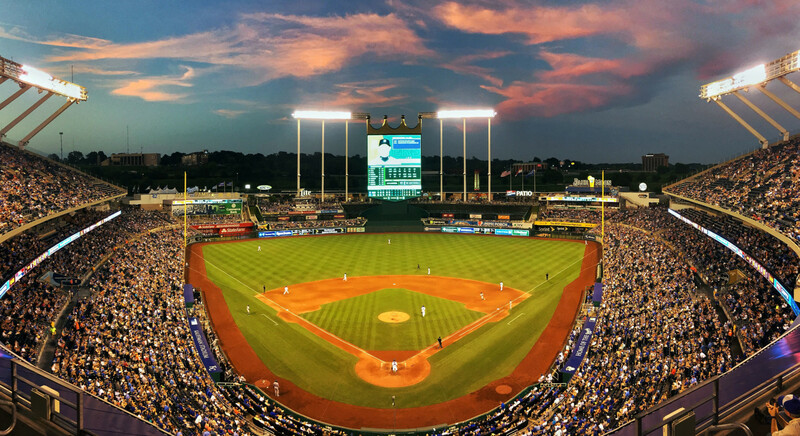 Other than that, Kauffman Stadium gets high praise for its atmosphere, which is filled with devoted fans and is great for families. The stadium’s outfield concourse also has plenty to take in if you feel like going for a stroll during a particularly dull game. 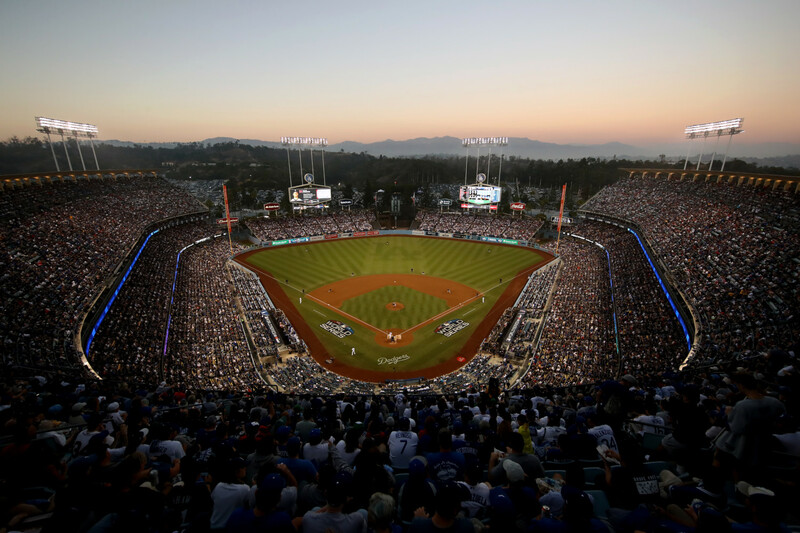 Another one of baseball’s most historic stadiums, Dodger Stadium has, unfortunately, lost a bit of its luster in recent years due to some high-profile violent attacks happening to fans at and near the park. But this jewel remains a bucket-list item for baseball fans and for plenty of good reasons. First, there’s the fact that it boasts the largest seating capacity in MLB, and that drawing a crowd is no problem. Also, it has arguably the most perfect weather you can experience in all of sport. Dodger Stadium once went nearly 18 years without a single rainout. Ranking Angel Stadium above Dodger Stadium might seem like blasphemy. But its family-friendly atmosphere scores it some big points, along with super-cheap parking that’s among the most affordable in baseball. 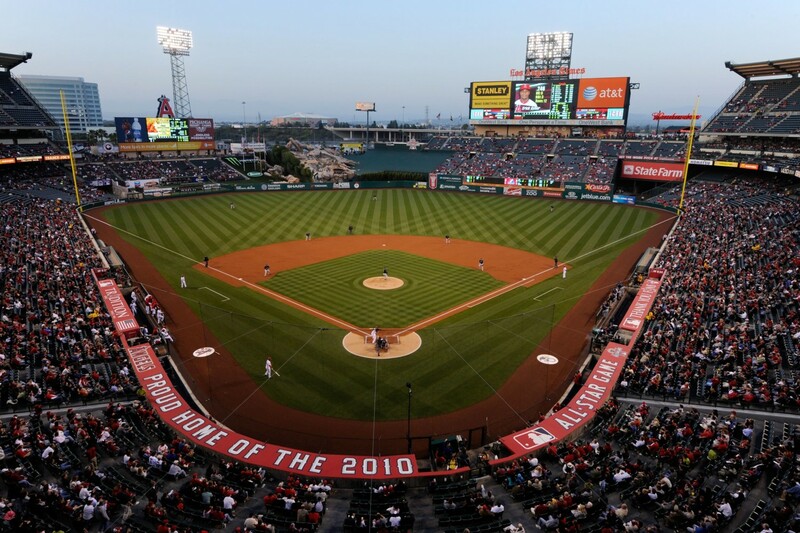 Angel Stadium is nearly as old as its Los Angeles counterpart, even if it’s not as historically celebrated. Yet it feels like a more modern park, loaded with amenities and one of the league’s biggest video scoreboards thanks to a 2018 renovation. Plenty of great seasons have taken place at Oracle Park (formerly AT&T Park) since it opened in 2000. Those seasons include lots of historic moments, including a no-hitter, a perfect game and the home runs hit by Barry Bonds to pass both Babe Ruth and Hank Aaron on the all-time list. Giants fans turn out in droves as well, with Oracle Park averaging strong attendance numbers every season. 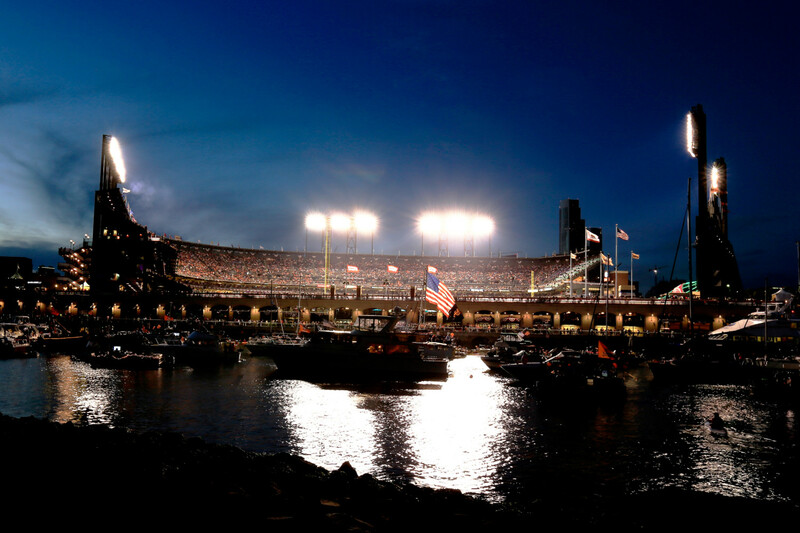 McCovey Cove, the open body of water beyond right field, is one of the most iconic sights in baseball, with plenty of fans waiting in canoes to catch a long homer. While it hasn’t yet achieved the level of lore that the original Yankee Stadium did (how could any ballpark?) the so-called “new” Yankee Stadium has carried on the legacy well. No stadium has earned more Google reviews than Yankee Stadium, which is a testament to both the sheer number of people who pass through its gates every year and the impression it leaves on visitors. Attendance is stellar every season, giving Yankee Stadium an atmosphere that’s nearly unmatched, but it comes at a hefty price for fans — literally. There’s no more expensive place to catch a game in all of baseball. Parking costs a ton and tickets never go cheap, even for the worst seats. Baseball fans in Houston have been blessed with one of the best teams in the game in recent years, which pairs perfectly with their stellar stadium. 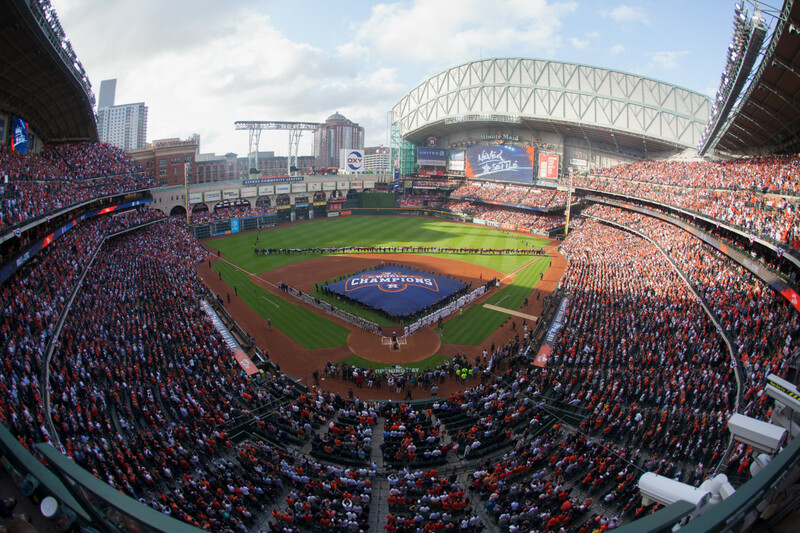 Minute Maid Park has a great deal of charm and character to match its technical achievements. The most unique feature is a train that hauls oranges along an 800-foot track on top of a left-field wall whenever an Astros player hits a home run. The stadium also includes a historic landmark on site, Houston’s Union Station, which was the city’s railroad transportation hub for years. 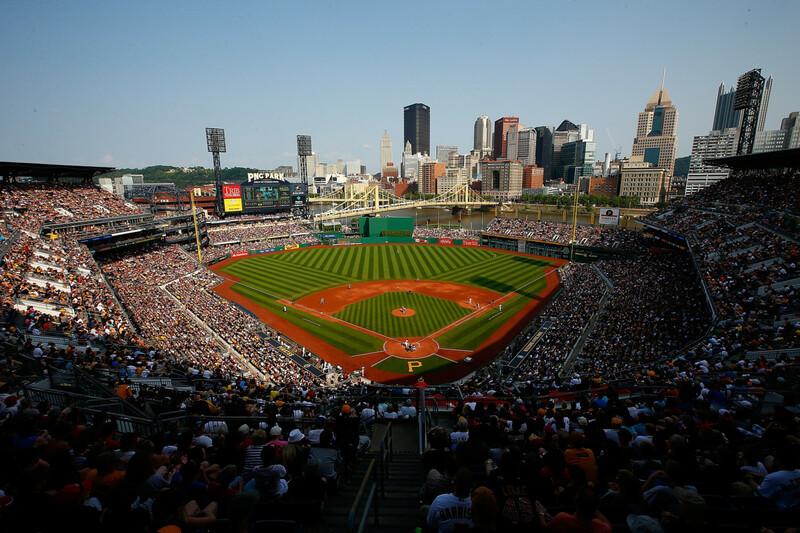 One of the most highly rated stadiums in all of baseball, PNC Park lives up to Pittsburgh’s high stadium standards, holding down nearly a perfect average review from visitors on TripAdvisor. So, what makes this park so special? As you can see from the photo below you won’t get a better view of Pittsburgh’s skyline anywhere. It also scores high for leaning heavily into the simple elegance of a classic stadium that’s devoid of gimmicks. Plus, kids can run the bases after Sunday games, making it a really cool trip for families. Like the city of Denver itself, Coors Field was ahead of its time in terms of what it offered its fans. The stadium’s on-site brewery, The SandLot, opened with the park in 1995. This made it the first one ever in MLB. 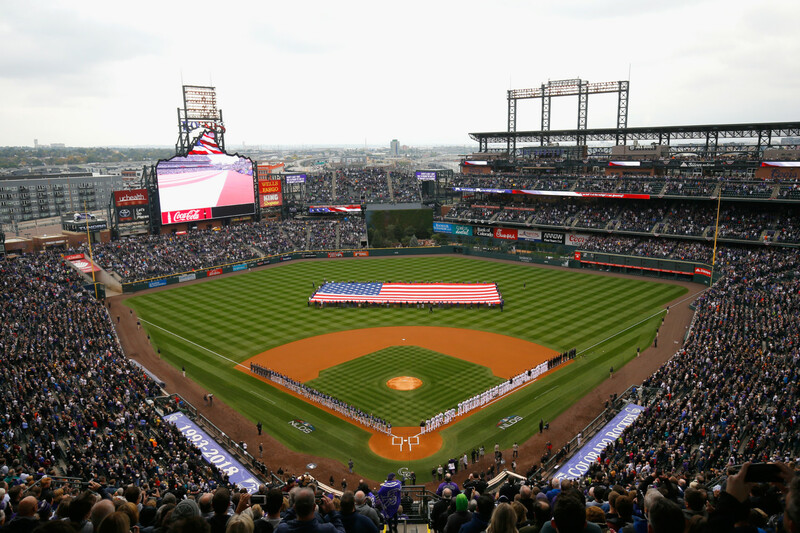 Nearly 25 years later, Coors Field is still earning rave reviews from visitors on Google. 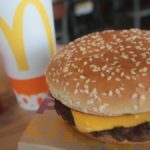 In addition to being a pioneer for beer lovers, Coors Field also offers the cheapest beer in the big leagues, and is the cheapest stadium to visit overall, according to GoBankingRates.com. And if you like offense (who doesn’t? ), there are a ton of home runs hit at this park every season. 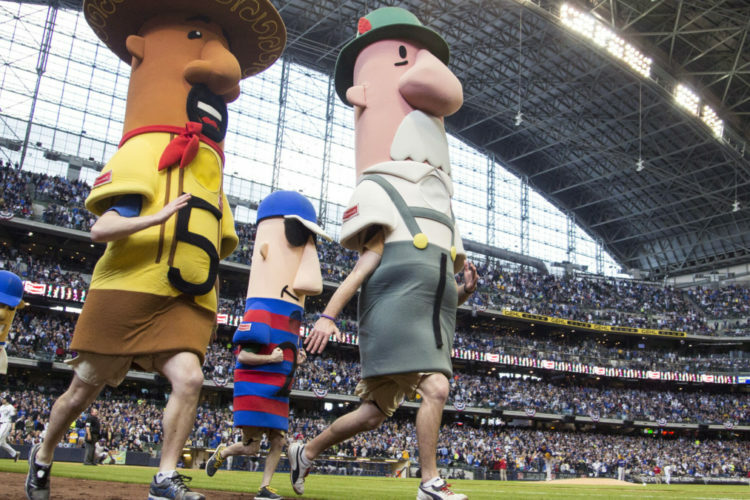 The highest-scoring stadium with a retractable roof, based on Google reviews, Milwaukee’s Miller Park offers plenty of spectacle for its loyal visitors. The average attendance numbers at Miller Park are outstanding every season, despite plenty of bad years that Brewers fans have had to sit through. 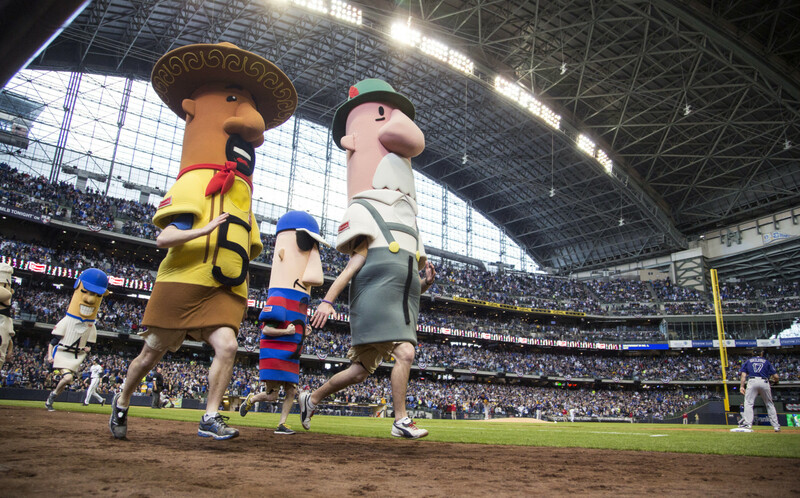 Even when the team isn’t doing great, you can always get your kicks by watching the world-famous Sausage Race (pictured below) and seeing mascot Bernie Brewer take a ride down his twisty, yellow slide in the outfield after a home run. It’s about as fun as baseball gets. When fans of National League baseball think of a bucket-list stadium, Wrigley Field likely tops it. This icon on Chicago’s north side has been packing fans in for more than 100 years and has seen some unmatched history, including Babe Ruth’s mythical “Called Shot” during the 1932 World Series. 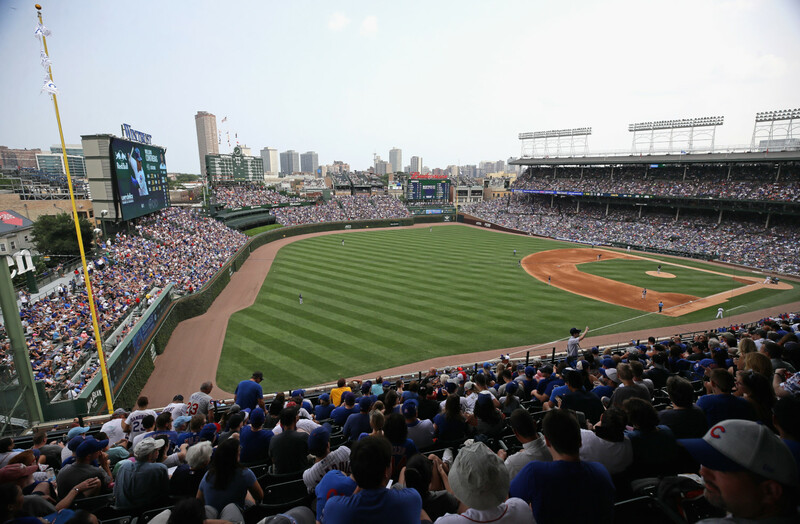 Unfortunately, all the pageantry of Wrigley Field comes with a price, as it is very expensive to park nearby and the beers are among the priciest in MLB, according to GoBankingRates.com. That hurts its overall standing on the list but fans clearly love the Wrigley experience, with more than 17,000 people giving the park an average score of 4.7 out of five on Google. They don’t call it “Baseball Heaven” for nothing. 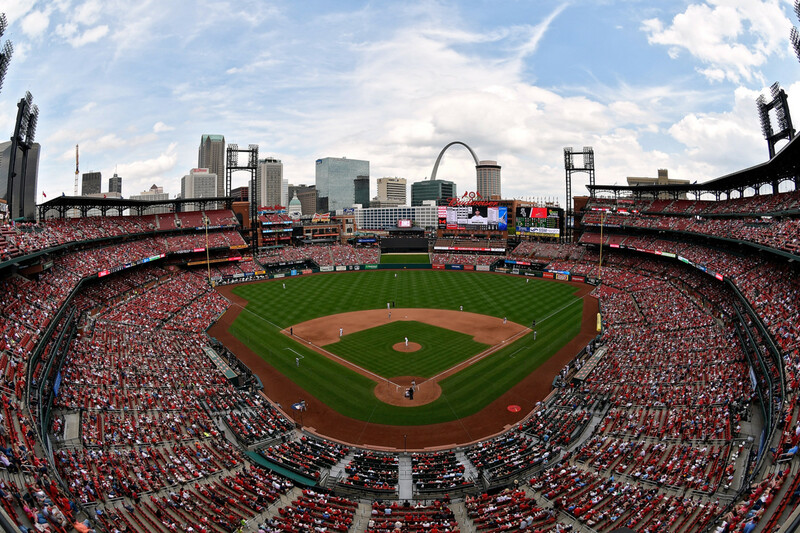 Our pick for the best stadium in the National League is St. Louis’ Busch Stadium. You get a stunning view of the city’s skyline from any upper seat and there’s a huge number of brews to choose from at the on-site beer garden, which is fitting for any stadium named after a brewer. Also, Busch Stadium’s Ballpark Village, located right outside the park, turns each game into an event with its entertainment and dining options before and after. Busch Stadium also has one of the best attendance averages every year — nearly every game gets close to sell-out numbers. 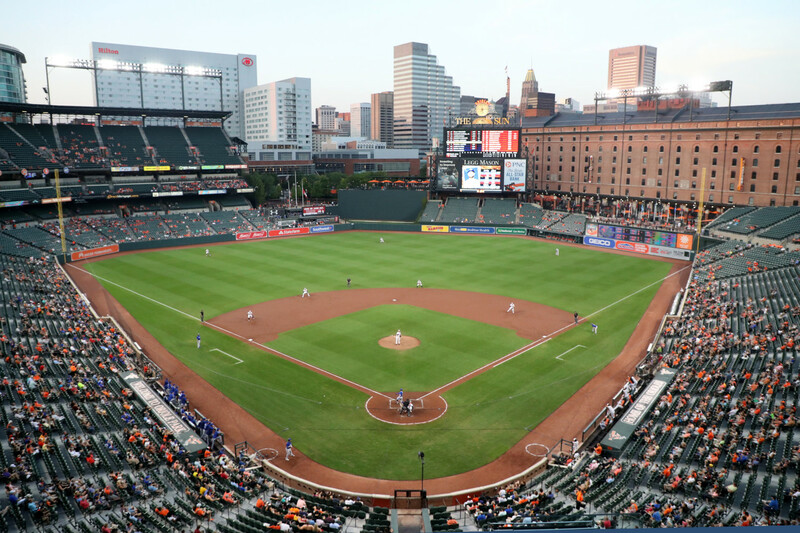 The best baseball stadium built in the past century — and many have called it the best ever built — Baltimore’s Oriole Park is a true must-visit site for any lover of the game. The retro feel of the stadium will take you back in time. Meanwhile, iconic sites like the B&O Warehouse and Eutaw Street just past right field make this one truly feel like a neighborhood ballpark even though its located in the middle of a major city. No stadium has earned a higher average rating on Google, with thousands of visitors giving it a 4.8-star mark. On top of all that, Oriole Park is one of the cheapest places to catch a baseball game. It’s truly impressive that the oldest stadium in the game gets our pick for the best venue in the game. There’s just no stadium that’s more legendary, when you consider the larger-than-life figures that played on its grass over the 100+ years it’s been standing. 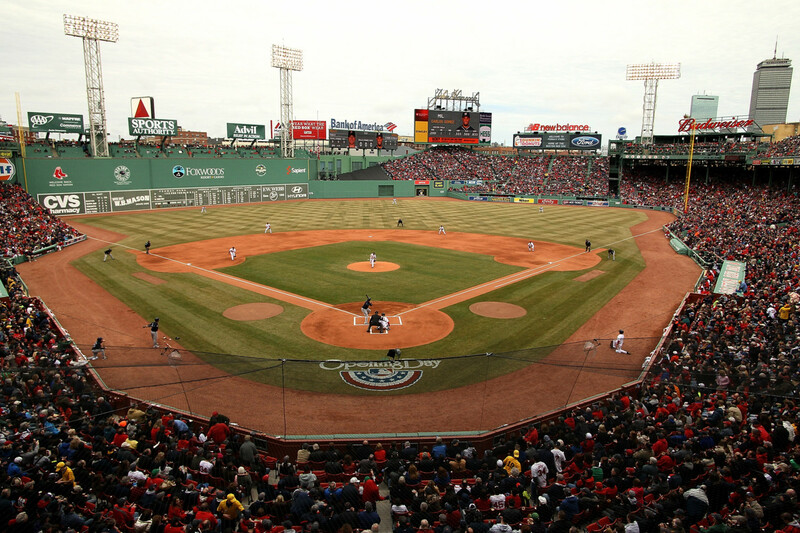 Fenway Park is so legendary that it’s even recognized as an official historic site by the federal government. Sights like the 37-foot tall Green Monster and the single red seat in right field, showing where a 502-foot home run hit by Ted Williams in 1946 landed, are among the most iconic in American sports. It’s certainly not a cheap place to catch a game, but when you consider how great the franchise has been in recent years, and how intimate this park is, it’s worth the price of admission.